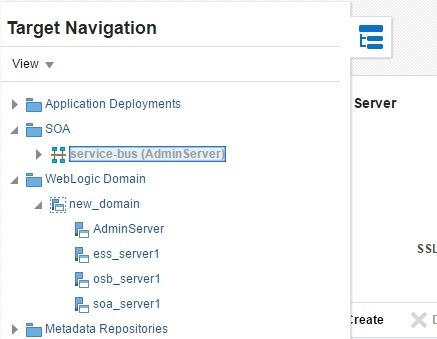 Login to EM Console and navigate to SOA –> service-bus (Admin Server) as shown below. Click on Global Settings tab and set Logging Enabled property. We can also enable Monitoring, Alerts, Reporting and Result Cache as shown below. 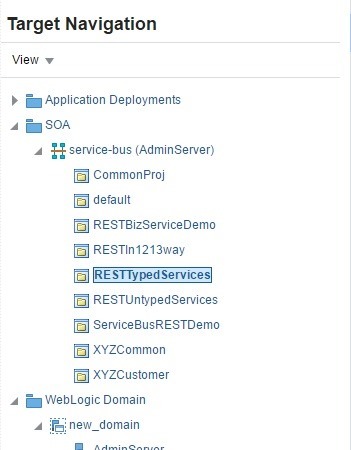 In EM Console, navigate to SOA –> service-bus –> <<Service Bus Project>>. 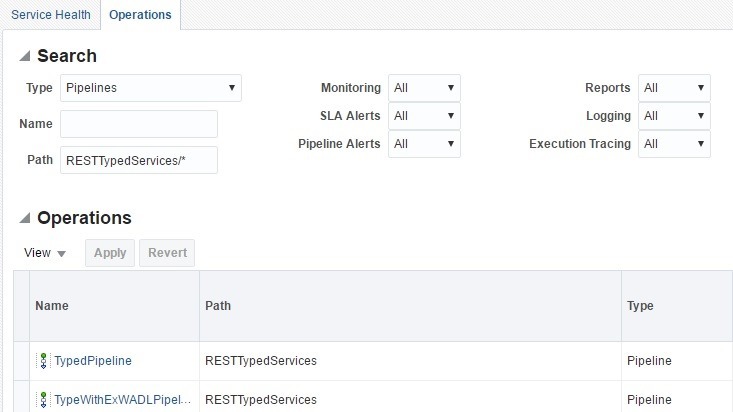 Go to Operations tab and query for Pipelines. Here we can see all monitoring related properties for Pipelines. 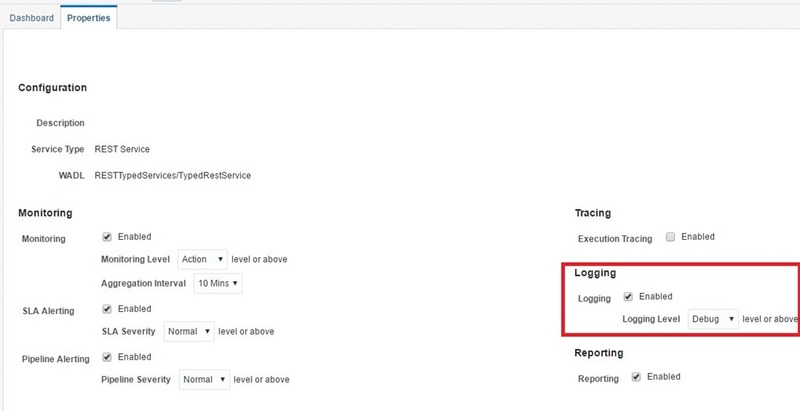 Click on Pipeline and go to Properties tab to enable Logging as shown below. We can set other Monitoring and Tracing related properties as well. We can also set log level so that it will be shown in log files. 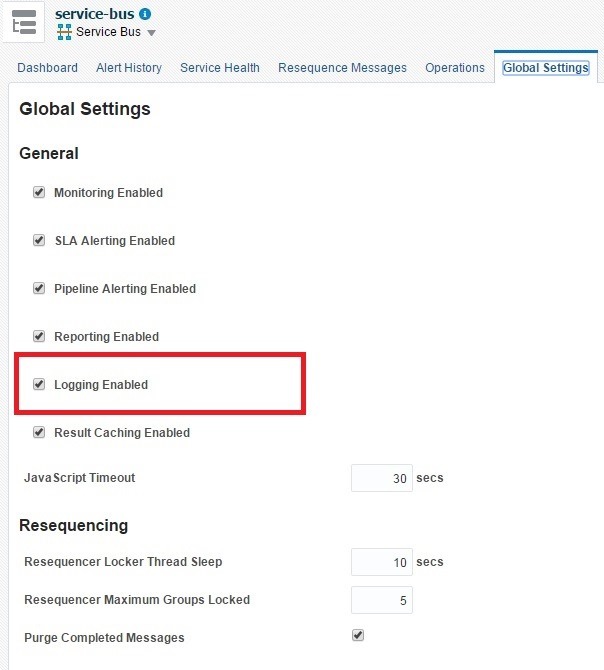 This logging information is shown in <<osbservername>>-diagnostic.log.